Our Ann Moore’s Farewell ~ We love you Ann & will miss you! One11 Art Galleries is honored to have been able to show paintings and handiwork by Resident Artist Ann Moore, who is preparing to join her family in Oregon. 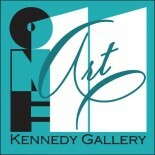 All of her work… Landscapes, portraits, still life’s and abstracts in a variety of media have graced our walls here at ONE11. Please join us in wishing Ann a wonderful farewell, appreciation for being our friend and fellow artist! This entry was posted on June 1, 2017 by 111suzanne.